Nearly all good stories that resonate with us, do so because they are actually about something much deeper than what we consciously detect. Stories are filled with symbolism, metaphor, and archetypes that can just as easily be plugged into our lives as the protagonists’. In fact, in every story we’ve ever experienced, we are the protagonist. So in seeing how they successfully triumph over their challenges, we get a message about how we can do the same. 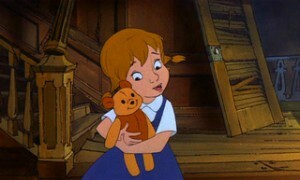 But at the early age when these movies make the deepest impression on us, most of us are not orphans, so why are they? The reason is because stories don’t communicate their messages though our minds or even our hearts, they communicate through our souls. As long as it’s trapped in this material world, your soul is an orphan. The metaphor that all these stories convey is that our soul left our true home in heaven to come to our adoptive home here on earth. Even if you don’t believe in heaven, the metaphor still works. It’s just that our higher consciousness came from another realm and is now “stuck” here in this experience. If you don’t even believe in a higher consciousness, but enjoy all these stories, I’d say that you do in fact believe on some level, you just aren’t highly conscious of it. 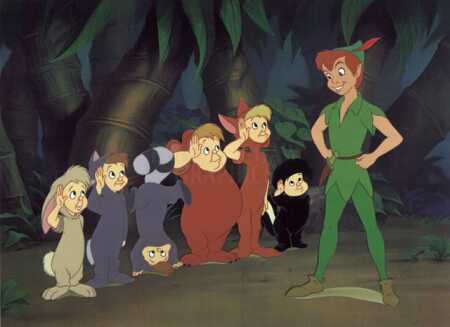 But where did all this orphan business originate? From the story that much of our society and its numerous traditions and rituals is based on—the Bible. Actually, even the stories of the Bible are based on older, similar stories from Greek and Egyptian myths, and possibly even older, but let’s just look at the Bible since it has the stories most of us are familiar with. One of the greatest heroes in the Hebrew Bible is Moses. Moses had the power to talk to God, act as his messenger, and split the Reed (Red) Sea. And of course, he was an orphan. 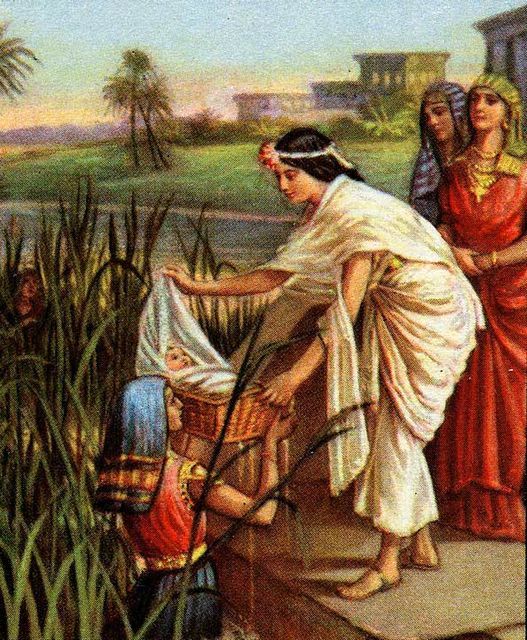 Set adrift in a basket by his mother in hopes of saving her baby’s life from the decree that all newborn male babies were to be killed, Moses was found and adopted by the Egyptian Pharaoh’s daughter who raised him within the material riches of the kingdom. Of course, once Moses finds his true identity, he rebels against the Egyptians and leads his enslaved people to freedom. The message of the story, whether it actually happened or not, is that initially we all believe we are of this material world. But once you discover your soul’s true longing—to free our world from the trappings of fleeting material pleasures—you must heed its call and enable all the world to hear the message of their souls too. The message stayed the same but the details changed in the Christian Bible. 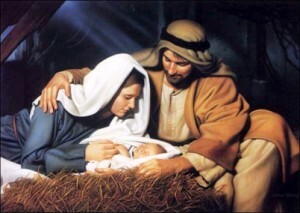 There were learn of Jesus, who was the son of God, raised on earth by his adoptive parents Mary and Joseph. Just like all heroes, Jesus represents all of us. If Jesus was adopted by this world because his soul came from a higher realm, that represents our story as well. If Jesus preached about the message in his soul but suffered for it, this is a truth for our world too. And if after leaving this world, Jesus can come back as a Messiah who will unite the world in peace, then that message is meant for all of us. That following our soul, though it may bring suffering, could also inspire everyone on earth, and help unite us, ushering in a golden age of peace. The message here is not that a Messiah will return to save us; it is that WE are the Messiah and we have the power to save ourselves. And this powerful message is continually updating and making it’s way into our modern day myths to this very day. their capacity for good, I have sent them you…my only son.” In Hebrew, Jor-El can translate to “light of God” while his son, Kal-El translates to “voice of God.” As in voice, or messenger, of God. (In Kryptonian, Jor-El apparently translates into “star-child,” much like how Jesus was a child born under a bright star.) 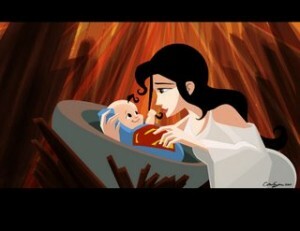 Even Superman’s adoptive parents fit into the Messianic myth. Little Jor-El is raised by Martha and Jonathan Kent (note the same initials as Mary and Joseph) who decide that their huge farmhouse is too small for the baby boy so he’s kept in a barn, similar to how Jesus was born in a stable. Superman is a modern update to a timeless truth. And much like the hero of every story, he represents us. We are to show the world the way to the light! This powerful message lets us know who we really are and what we are meant to do. What it doesn’t tell us however, is how. That’s where the next part of the myth comes in—the part about the death of our adoptive parents. 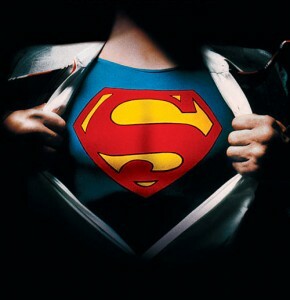 In the superhero stories, the superhero usually fights evil on his own turf whether it be Metropolis, Gotham, or New York City (the city where people from every country in the world live, thereby relating to all of us and explaining why the NYC archetype is nearly always the home turf for the superhero). But to get there, they often have to have lost their parents or adoptive parent(s). Something has to jolt the hero into this new realm, in order to start his or her adventure. Peter Parker’s Uncle Ben is killed by a criminal, inspiring him to fight evil. Similarly, Luke Skywalker’s Uncle Owen and Aunt Beru are killed by the evil Empire. 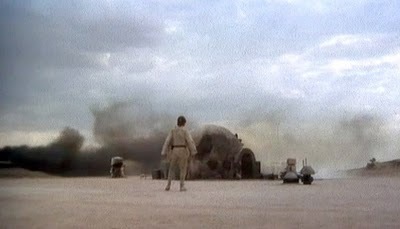 Once there is “nothing left” for Luke, he leaves the place he grew up, breaking free from the familiar and entering the challenging world of the unknown. Even though heroes like Luke or Harry Potter or even Dorothy from the Wizard of Oz aren’t considered superheroes, since they all have a power—the Force, magic, and an ability to fall from the sky and crush a witch, respectively—their roles are interchangeable with superheroes. That’s why both Harry and Dorothy were taken away to foreign, strange lands, and both were already orphans. Like us, their souls are not natives of the materialistic world and they must leave the comforts of it to achieve their true calling. Around the time the hero makes the leap of faith to leave the familiar, they are usually given a guide and a gift to help them on their quest. Luke meets Obi-Wahn and is given a light saber, Dorothy meets Glinda and given the ruby slippers, Clark hears wisdom from the recorded voice of his father and gets his Fortress of Solitude, Cinderella encounters her fairy godmother and gets her glass slippers, Aladdin frees the genie and gets the magic carpet, Frodo meets Gandalf and gets the ring, etc. At this point, the hero is ready to face his or her challenge. So, putting it all together, what’s the message for us? We are pretty much being given the instructions for the game of life at a very young age, but few of us manage to put it together. Even those of us who do usually fail to act, and instead, decide to live vicariously through our favorite film heroes instead of using them as inspiration to begin our own journey. Isn’t there something that you were once truly passionate about? It’s never too late to begin it, or complete it if life has managed to get you sidetracked. Sure there are challenges. These are the same monsters and villains and treacherous journeys that our heroes face. In your case, they are likely bills that need to be paid, expectations that need to be met, a boss who needs to be pleased, and a family that needs to be fed. The message is not to ignore your obligations, but be empowered by them. Think about it. What message would you rather teach your kids: live life by serving the man or follow your dreams? Teach by example. Once you begin, you will meet your mentor and be given the gift you need to help you on your mission. Have faith. Believe in yourself. See the outcome you want. Then act so that it comes to fruition. Remember who you truly are. Not some worker who has to make money to have the life someone told you that you need to have to be happy. You are a unique being who was put on this planet for a specific task. Do it. Riddle me this: what is Superman’s costume? Most people would answer that it is a blue suit, a yellow belt, and red boots and a cape. Nope. His costume is a business suit, hat, and glasses. Kal-El is not from this world. His true essence is Superman. But much like you he must put on a costume to disguise his true identity. He must play a role that makes him appear to fit into society. The difference is, he still manages to unleash his superhero identity as well. In real life, the challenge of doing that is much harder than Superman’s. But because this is your soul’s true desire, it will continually create situations for you that will push you towards making it happen, whether you are conscious of it or not. Being conscious of it just makes it easier. The next time you go see a Disney, Pixar, or superhero film, see yourself in the role of the hero. Imagine your challenges in place of his or hers. Plug your life’s story into the story of the film. Then notice what the hero does and see how you can apply that to yourself. Yes, there will likely be suffering, yes people will say you’re crazy, yes it will be challenging. Isn’t that what happens to the hero in these stories? Use the stories to inspire you, hell, use the soundtrack too if it helps! The fact that you’ve read this is a confirmation that you are on the right track. It is part of the mentoring energy that is coming your way because you’ve obviously already begun to take the first steps on your journey. The question, is not what would Jesus or Superman or Luke Skywalker do. It’s what would you do? So, what will you do? *Only 101 Dalmatians. (In Alice In Wonderland it’s unclear if she has two living parents or not.) I stopped at the year 2000 because I’m not as familiar with the later Disney films. **In one of the more recent Disney films I did see, Tangled (See Layman Update #21: “The Tangled Web We Weave,”) the heroine lives atop a tower in the only home she’s ever known. Despite the warnings from who she thinks is her real mother (but we later learn actually kidnapped her as a baby), she decides to leave the comforts of her castle and venture out to discover her true identity, and her real parents. Even though the details are reversed, the message is still the same as that discussed in this article, only here the real parents represent the true or soul-self and the kidnapper-mother represents the adoptive, materialistic life that our soul wants to break free from. This is basically the same mythological message as the Moses story. Another great one. And thoroughly researched! I would like to add the psycho-spiritual dimension for oprhan-hood: The role of child, son or daughter is antithetical to the role/archetype of “hero” because it diminishes the Self. You may notice how even very accomplished or evolved people regress subtly or not so subtly when in the presence of their parents. And all the emotional, energetic and physical requirements that go with staying tied to the family system do not fit in with the role and task of the Hero. This is another reason why Hindu and other monks traditionally leave home forever and wander aimlessly, and several Tibetan sects require monks to undergo a ritual in which they metaphorically bury their parents. Can you imagine if Superman had to tend to an ailing father with cancer or dementia? All the lives he wouldn’t be able to save while in the role of loving son. Or if the Buddha tried to become enlightened in the palace, and his mother came and told him to put on a sweater while he was meditating out in the cold?! The role of son or daughter must be psychologically surrendered and transformed in the hero’s journey — Jung refers to it as individuation. Some good points and interesting info Blair, thanks! Yes, I’d agree that leaving behind the family system either physically or mentally is definitely a mandatory step in the hero’s journey. There can be no growth if we continue to do everything the generation before us did. At the same time, the child is at a more pure state than later years when society’s clutches become more ingrained in our way of life. I think by planting these seeds at a young age with these movies and stories, it gives us a chance to break free when we are older and ready to make the journey. Keep inspiring others to take theirs! “Around the time the hero makes the leap of faith to leave the familiar, they are usually given a guide and a gift to help them on their quest. … At this point, the hero is ready to face his or her challenge.” This is now one of my favorite commentaries, not only due to your rather astute observation about the recurring orphan meme, but also because of your intuitive and informative analysis of the metaphors and symbolism involved. For me it reaches the level of your commentary on LOST’s ‘316.’ Bravo Mr. Oromaner! Thanks so much Peter! With each post I write, I often feel as though I’m communicating with different people. Some people may be ready to hear one post, and others another. Whatever has resonated with you, is likely in line with your journey, while others may not. We all have different roles to play, and yet, we are all helping each other! What an excellent article! I have so many comments I’d like to add, but I’m afraid they’ll come out in kind of a jumble. You have a very sophisticated reading of the orphan archetype in relating it to the Messianic themes of bringing yourself (and others) salvation and returning to a spiritual home on a higher level of consciousness. 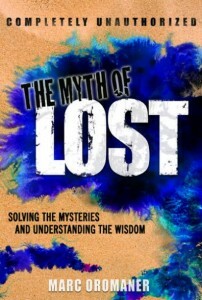 There are layers that resonate on lower levels of consciousness too – for example, there is the motif of the “Father (or Mother) Quest” in which one of the parents is missing or must be discovered and prompts the hero to go on a physical and spiritual journey to know themselves through knowing their origins, albeit an origin that is ultimately transcended. Also, I think the orphan theme resonates very deeply with children and strikes on some of their most hidden desires; one one hand there is the feeling that you have been abandoned, or left alone in the world like a motherless child, and children like to play out this vulnerability by confronting it directly in games or vicariously in movies/literature/fairytales. On the other hand is the feeling of independence and resourcefulness that comes with being an orphan, for having to fend for yourself and maybe your brother and sister, and a kind of self-reliance children learn through these stories and through their games. Your article reminded me of a game my sister and I played when we were kids – it was actually called “Orphanage” and we would pretend we were orphans (of course) staying in a run-down facility with a brutal headmistress and we had to escape into the woods to begin a new life. I share this with the understanding that everything I say about children is just as true for adults – we’ve just learned to disguise it better. I look forward to reading more from your blog and seeing you at the Mythology meet-up. Wow, I appreciate you sharing all that Hannah. Your thoughts got my mind spinning and led to an intriguing revelation for me! When you mentioned the “Father Quest,” the first sci-fi book I’d ever read, “A Wrinkle In Time,” popped into my mind. I thought it was a faulty memory at first, because I recalled that it was the brother, not the father, who was found through the course of the story. Then I looked it up ( http://en.wikipedia.org/wiki/A_Wrinkle_in_Time ), and sure enough, my subconscious was correct! Not only that, the book apparently revolves around a “tesseract project.” A tesseract was recently featured in “The Avengers” film and someone mentioned to me that it is related to dodecahedrons/4th dimension symbolism and possibly related to the hexagons I keep seeing lately. Anyway, that’s a topic for an upcoming post, but the “Wrinkle In Time” reference will certainly be mentioned so thank you for that! The orphan and father/mother quests definitely seem related. 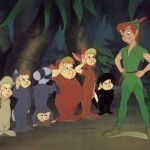 Either can probably be interpreted as inspiration to help us on our quest in this world to discover who we really are. Again, thanks for bringing it up. Definitely looking forward to your presentation next month! Agree with this need of searching but, even Heroe’s need a Hero. I am glad I read this. I’ve always wondered about the recurring orphan thing in most superhero stories, but I’ve never connected it with the Bible or such powerful symbolism. This explanation greatly exceeded my expectations. Lovely work! Glad you liked it Rachel! Funny thing is I was just mentioning this very post to a friend of mind named Rachel on the day you read it. Weird, especially since there haven’t been any comments on this post in well over a year.